1-4 November 2011: BioModel representative (Grigoriy Kolomytsev) participated in workshop, which took place in Enschede. It was combined with a short training course on GLOBIO3 (including land-use-change simulation exercises using CLUE model). The workshop invitees list included partners around the globe were involved to GLOBIO3 modelling. 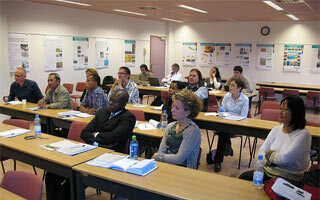 It was organized by PBL and Aidenvironment and hosted at the ITC faculity of Twente University.